Have you ever felt a shrug of heart, you know that ‘Blah’ feeling, perhaps leading to anxiety or even agitation? The only way to put it into words is ‘I’m off, just… off.’ May I offer – something may have shifted – shifted from the sidelines to the seat; something/someone is now sitting on the throne of our heart, pretty weighty isn’t it! This, my dear friend, is found deep in the factory setting in the design of man, a component known as the Peace Barometer. (Ok, maybe not – but that is what I call it). Peace. In the Old Testament, (Hebrew) the word for peace is shalom, (in short) meaning tranquility, harmony, wholeness. It has been referred to as evidence of the absence of strife or war. I would define peace not necessarily in what you do not have, but what you do have. 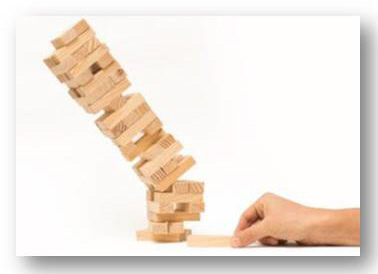 In the New Testament, the word for peace (in Greek) is eirene, which literally means ‘to set at one.’ The picture is something that was once set in place has either been removed or toppled over – (think of the game Jenga, remove foundational pieces & over it goes) chaos, strife, irritation even war are the results. Once it is set back in place, PEACE reigns. Here’s a brief (VERY brief) explanation: Remember God and man (and Eve) in the Garden, their relationship was good and whole (peace-filled). Then there was a sin outbreak, the relationship was broken, toppled over. For generations (begetting) generations there was a missing element – what was, is no longer. Later Isaiah speaks of the coming of the Prince of Peace and the government resting on His shoulders (9:6). Fast forward to Luke chapter 2, the angels announce, “Glory to God in the Highest and on earth peace…” (v14). Peace was back on earth among man. Jesus is the missing piece, He came bridging the gap (which was big & ugly) between man and his God – He set it all back in place, God the Father planned it, God the Son accomplished it, God the Holy Spirit applied it, the God package delivered – PEACE REIGNS. Paul writes, “Let the peace of Christ rule in your hearts…” (Col. 3:15) Here’s where the peace barometer comes in: If God is not ruling on the throne of our heart, be assured another will occupy it! We will know peace to the degree that we YIELD to Christ, the Prince of Peace, if NOT – chaos, strife, irritation. Paul again, “Do not be anxious about anything, but in everything by prayer and petition, with thanksgiving, PRESENT YOUR REQUESTS TO GOD, and the peace of God which transcends all understanding will guard your hearts & minds in Christ Jesus.” (Phil. 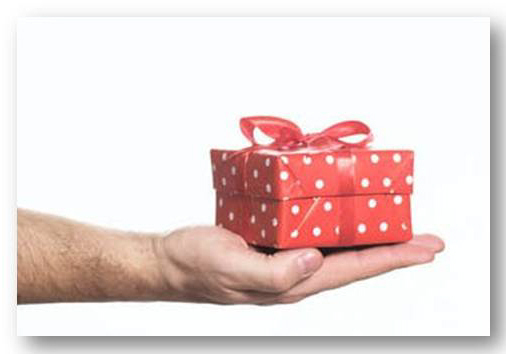 4:6-7, emphasis mine) ‘Present your requests to God’ (KEY!) We are NOT to go looking for solutions elsewhere, if we do, we can potentially be placing things on the throne that shouldn’t be there, (thus the ‘off’ feeling). Our peace barometer will TILT if Jesus is not the center of our life, the One residing and reigning on the throne of our heart. Peace is not about peaceful circumstances, it’s about the applied authority of Christ. Let’s cut to the chase: God doesn’t come to take sides (help sort our stuff) He comes to TAKE OVER. It is His design, His throne. “May God Himself, the God (of Peace) who makes everything holy and whole, make YOU holy and whole, put you together – spirit, soul, and body.” (1 Thess. 5:23 The Message) God the Maker – God at the center – God on the throne. Taking inventory of my heart. Peace. *This is an excerpt from my teaching at our local women’s Bible Study. Christmas. Just the word alone brings a soft glow to the soul. A warm crackling fire, hot chocolate and watching Jimmy Stewart as George Bailey yelling “Mary!” as he runs through the old drafty house. Peace. Isaiah prophesied centuries before Luke penned his gospel saying: “For unto us a child is born, unto us a son is given, and the government will be on His shoulders. He will be called Wonderful, Counselor, Mighty God, Everlasting Father, Prince of Peace.” (Isaiah 9:6) Fast forward to Luke 2:14, with the singing telegram to the shepherds: “Glory to God in the highest, and on earth peace, good will toward men.” Peace had come to earth. Biblical peace (in the Greek) is ‘to set at one again,’ – the picture is something that has once been erected has toppled over. Chaos, strife, irritation, unrest even war are the results. Once it is set back, PEACE is the result; all is in its rightful place. Remember Adam and Eve sinning in the garden? (Thanks, guys!) The original design, ‘God and man’ had been ‘toppled over.’ Gone were the daily walks together in the garden. Jesus came, setting things back in the right place, God and man in right relationship. “The Word became flesh (Jesus) and made His dwelling among us. We have seen His glory, the glory of the One and Only, Who came from the Father, full of grace and truth.” John 1:14 (emphasis mine) It may not be the Garden, but God again walking with us. Immanuel, oh the ‘with us’ of God! Jesus, peace on earth, the Prince of Peace. Peace is a Person. One of my favorite Christmas carols, “Hark the herald angels sing “Glory to the newborn King! Peace on earth and mercy mild, God and sinners reconciled.” After 400 years, the angels break the silence with the spectacular news. Such theology dripping from this song: Jesus, Peace, God back on earth, setting things right again. God and sinners reconciled. As a bookkeeping clerk, I fully understand ‘reconciled’, the number zero could not be a more beautiful number, through Jesus I have ‘0’ debt! ZERO! Peace is not only a Person but a position. “But now in Christ Jesus, you who once were far away have been brought near through the blood of Christ. For He Himself is our peace …for through Him we both have access to the Father by one Spirit.” (Ephesians 2:13-14) We are now back where we were originally designed to be, right-standing relationship with God, given full access and ability to come into His presence. Paul declares this point, “Since we have been justified through faith we have PEACE with God through our Lord Jesus Christ.” (Romans 5:1) Peace is a God thing. Man cannot create true peace in his own soul, it is not part of the package deal, in the sense; it does not come attached to intelligence or fame and wealth. It is the result of Jesus’ presence, Jesus’ Lordship, and Jesus being walked & lived. Peace is a position. Because of our sinful nature and our perpetual continuing to do so, John strongly declares “If we confess our sins, He is faithful and just to forgive us our sins, and to cleanse us from all unrighteousness.” (1 John 1:9) This is written to the Jesus follower, we mess up, but as we confess, we are saying the same thing about our situation that God does. We are now in full agreement; we realign with what God says. To stop doing something we have to start doing something else. I don’t stop standing until I START walking. In this process, we are taking what was ‘toppled over’ returning to the original design and bringing Jesus back to His rightful peaceful place. We mess up, we get cleaned up. Peace restored. Peace is a process. 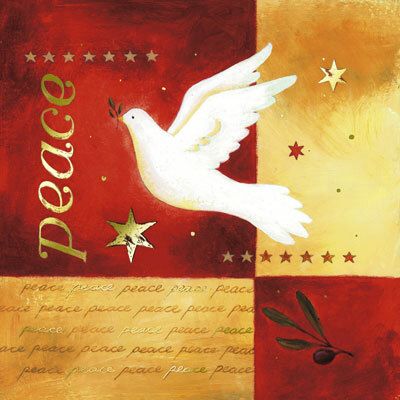 This Christmas may we pause and consider wholeheartedly, the Person, position, process, and posture of peace. Yes, Peace had indeed come to earth, Prince of Peace. Christmas. Just the word alone brings a soft glow to the soul. Warm crackling fire, hot chocolate and watching Jimmy Stewart as George Bailey yelling “Mary!” as he runs through the old drafty house. Peace. Isaiah prophesied centuries before Luke penned his gospel saying: “For unto us a child is born, unto us a son is given, and the government will be on His shoulders. He will be called Wonderful, Counselor, Mighty God, Everlasting Father, Prince of Peace.” (Isaiah 9:6) Fast forward to Luke 2:14, when the angels appear to the shepherds: “Glory to God in the highest, and on earth peace, good will toward men.” Peace had come to earth. Biblical peace (in the Greek) is ‘to set at one again,’ – the picture is something that has once been erected has toppled over. Chaos, strife, irritation, unrest even war are the results. Once it is set back, PEACE is the result; all is in its rightful place. Remember Adam and Eve sinning in the garden? (Thanks, guys!) The original design, ‘God and man’ had been ‘toppled over.’ Gone were the daily walks together in the garden. Jesus came, setting things back in the right place, God and man in right relationship. “The Word became flesh (Jesus) and made His dwelling among us. We have seen His glory, the glory of the One and Only, Who came from the Father, full of grace and truth.” John 1:14 (emphasis mine) It may not be the Garden, but God again walking with us. Emmanuel, oh the ‘with us’ of God! Jesus, peace on earth, the Prince of Peace. Peace is a Person. One of my favorite Christmas carols, “Hark the herald angels sing “Glory to the newborn King! Peace on earth and mercy mild, God and sinners reconciled.” After 400 years, the angels break the silence with the spectacular news. Such theology dripping from this song: Jesus, Peace, God back on earth, setting things right again. God and sinners reconciled. Peace is not only a Person, but a position. 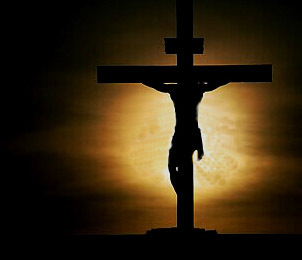 “But now in Christ Jesus, you who once were far away have been brought near through the blood of Christ. For He Himself is our peace …for through Him we both have access to the Father by one Spirit.” (Ephesians 2:13-14) We are now back where we were originally designed to be, right-standing relationship with God, giving full access and able to come into His presence. Paul declares this point, “Since we have been justified through faith we have PEACE with God through our Lord Jesus Christ.” (Romans 5:1) Peace is a God thing. Man cannot create peace in his own soul, it is not part of the package deal, in the sense; it does not come attached to intelligence – fame – wealth. It is the result of Jesus’ presence, Jesus’ Lordship, and Jesus being walked & lived. Peace is position. Because of our sinful nature and our perpetual continuing to do so, John strongly declares “If we confess our sins, He is faithful and just to forgive us our sins, and to cleanse us from all unrighteousness.” (1 John 1:9) This is written to the Christian, as we confess, we are saying the same thing about our situation that God does. We are now in full agreement; we realign with what God says. To stop doing something we have to start doing something else. I don’t stop standing until I START walking. In this process, we are taking what was ‘toppled over’ returning to the original design and bringing Jesus back to His rightful peaceful place. We mess up, we get cleaned up. Peace restored. Peace is a process. Christmas. Just the word alone brings a soft glow to the soul. Images of lights, men in red suits, baby in the manger, faint sounds of jingle bells in the distance and wrapped gifts under the tree. Now let’s throw in a cozy fire, soft quilted blanket, cookies and Bing Crosby on the TV. A peaceful experience. This New Testament word, peace, is ‘eirene’ (i-ray-nay) means as O.T. shalom does, prosperity, quietness and wholeness. But it literally means ‘to set at one again.’ The word picture is this: picture if you will something of great importance has been toppled over, with it down, effecting life as we know it. When it is erected again, (set at one again) then all is well when it is in it’s place. Um … remember Adam and Eve sinned in the garden? Thanks guys! THAT was some major toppling over! Jesus came, setting things back in the right place. God and man in relationship. This Christmas as we sing and sway with the Hoo’s in Hooville, drink another glass of eggnog, rip open the thin paper off our packages, may we pause and consider whole heartedly, we, mankind have the opportunity to be at peace, restored back to God. Yes, Peace had indeed come to earth, as a baby lying in a manger. A peaceful experience. Merry Christmas!